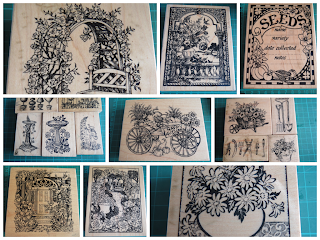 The Great Southern Stamp Sale: The Great Sale - Garden themed stamps are done! Well, I said I'd get going, and going I've got. I've listed all the stamps that were in the box labelled "Garden". The collage here shows some of them. The end date for these ones will be 20 September, so have a look!